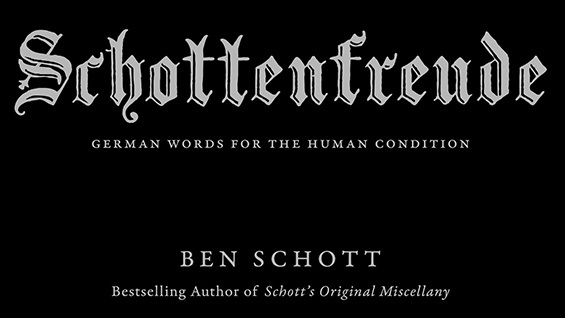 Free Lecture: Ben Schott on "Schottenfreude"
Ben Schott, best known as the creator and designer of Schott’s Original Miscellany and its three sequels, will speak at The Cooper Union about his newest work, Schottenfreude: German Words for the Human Condition. In it Schott invites readers, wordsmiths, and Deutschophiles to explore the idiosyncrasies of the human condition auf Deutsch. In what language but German could you construct a word for new car smell, the urge to turn and glare at a bad driver you’ve just overtaken, Sunday-afternoon depression, or the ineffable pleasure of a cold pillow? Schott, who lives in New York and London, is a contributing columnist to the New York Times op-ed page and a regular contributor to the Times of London.